If you’re anything like me, you also can’t wait to get home after work and crawl under the soft blanket. I mean, is there anyone who doesn’t love sleep? If yes, they’re crazy people. Sadly enough, even such a pleasant activity can go wrong. The good news is that you can learn what keeps you from spending 8 hours in the sweet arms of Morpheus. Today, I present to you 5 best sleep trackers. Get ready to fix your sleeping regime! Fitbit One Wireless Activity + Sleep Tracker Sleep quality review, sleep goals, weekly trend graphs, silent alarm. Wearable Charging cable, wireless sync dongle, silicon clip, sleep wristband. This little gadget can track much more than just your sleeping cycle. It is accurate, easy to use, and very helpful. The Fitbit One looks like the most user-friendly tracker (at least among the ones I have personally tested). It has very intuitive controls and operation. Additionally, it works smoothly every time. No lagging, no long loading, this model really “flies” when working. It is small and can easily be clipped to your clothes. 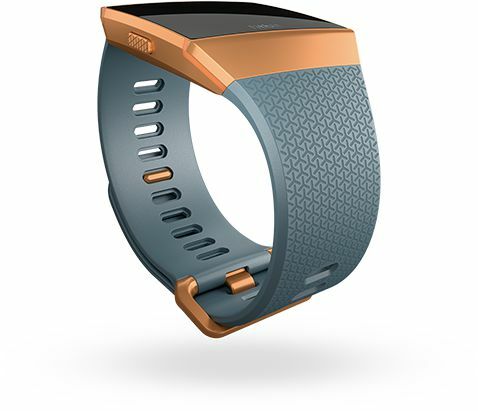 It comes with a wearable wristband for sleep tracking. You can set the sleep goals and use the silent, mildly vibrating alarm to wake up without disturbing your partner. 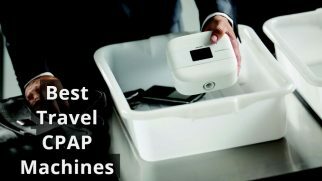 It automatically synchronizes all the data with your phone, computer, or tablet. The battery can work for up to 14 days on a single charge. It works with a free app, which collects, stores, and displays all the necessary data for you. What is really great with that tracker? The absolute best thing about this tracker is how easy it is to use. When I was testing this little device, all the processes were “flying”: fast synchronization, sleep patterns display, settings, everything worked fast and in coordination. What is wrong with that tracker? 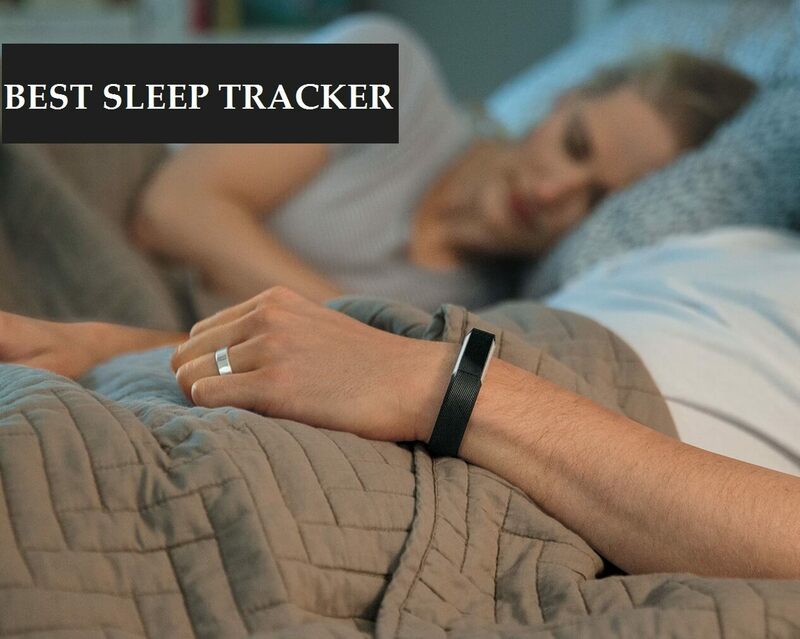 The worst thing I’ve noticed about this tracker is the fact that it scans your sleep based on your movements during the night. Which means, whenever you move your wrist with the tracking wristband on, the device will think you’re awake. So, it might not be suitable for people who move a lot when they sleep. In general, I was satisfied with this little stylish device. When combined with the app, it works fast and gives you all the essential data to improve your sleep quality. 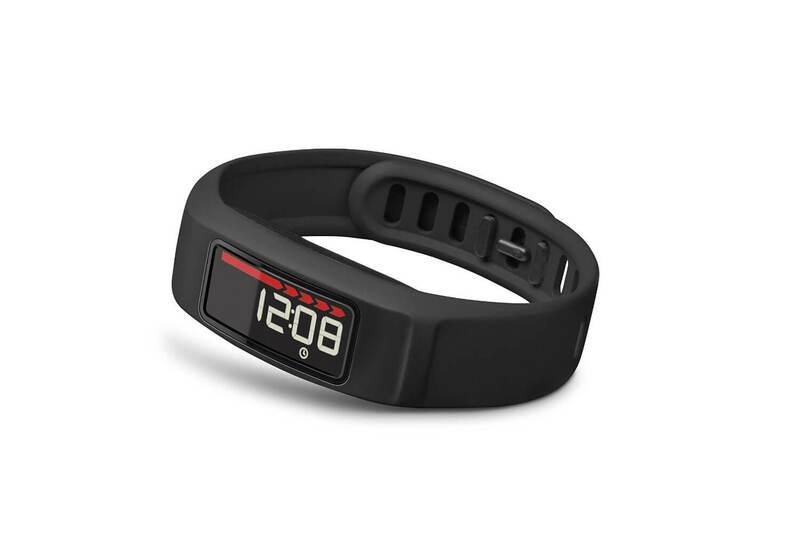 Another contestant for the right to be called the best sleep activity tracker is this small and handy gadget by Garmin. Want to know why it’s so good? Because it’s simple. It’s got everything you need to track your sleep without frills and fancy extras, which doesn’t make this device less effective. However, what might actually blow you away is this little device’s battery. It is surprisingly long-lasting, which means you get to monitor your sleep without worrying about your tracker dying in the middle of the night. This also guarantees a more precise tracking process, which is super helpful if you are taking your health seriously. It features the backlit display, which you can use to check the statistics even during the night. The manufacturer promises the 1-year battery life on a single charge. It synchronizes the data automatically with the paired devices. The tracker works with the Garmin Connect app, which allows you to save the data, plan your sleep schedule, and read the weekly statistics. The coolest thing about this tracker is its battery. I’m not sure about this whole 1-year lifespan, but I didn’t charge it even once while using (and I’ve used it for a few months). So, no matter what you do, whether it’s just sleep tracking or exercising, you can be sure the battery won’t let you down. The worst thing I’ve noticed about this gadget is actually the app it’s supposed to sync with. The thing is that it doesn’t always work perfectly. Sometimes it won’t allow the tracker to synchronize the data with my tablet, and sometimes it takes forever to transfer the stats from the tracker to the device I use, either a phone or a tablet. Perhaps this is an isolated case, but still a heads-up for you. Overall, this is a decent device, perfect for people who appreciate simplicity. It can definitely help you effectively track your sleep and analyze the patterns. 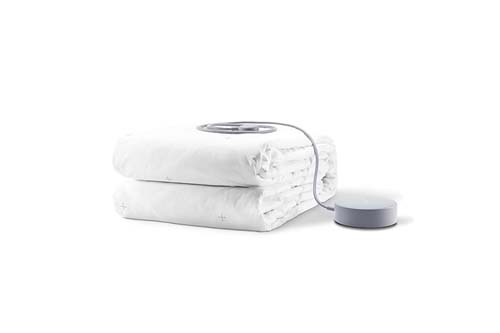 It consists of three important components: a mattress cover (which monitors and detects your movements and sleep trends), a track hub, and an app through which you will get all the results and monitor your sleep. The mattress cover is made of polyester. The tracker works with the free Eight Sleep app. The coolest thing about the Eight is, of course, its design. You don’t have to wear anything on your wrist and get more precise results thanks to the sensors that are integrated into the mattress cover. The cover detects all your movements, body position, and more and offers a whole spectrum of monitoring options and results. The biggest concern I have is the wires inside the mattress cover. Don’t get me wrong, they are safe. However, if you are a light sleeper and can be easily disturbed during the night, you might feel those wires. 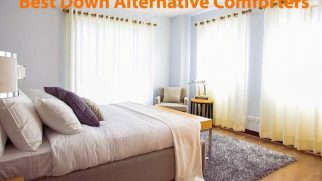 Using an extra sheet on top of the mattress cover helps, but it’s still something you should know about. Overall, this is a worthy sleep tracker. And if your budget allows for it, I recommend you test it out yourself. I’m sure you will be happy with the results! This smartwatch is everything you need and even a bit more. It is accurate, offers countless features for sleep tracking, and packs a ton of extra features. This model is ideal for people, who want the best value and something super-efficient and functional. With this Fitbit Ionic Smartwatch, you get so much! It’s crazy how all these features are packed into this small and stylish device. This watch looks great and will fit any of your clothes! 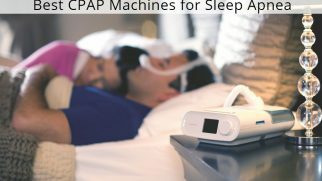 It can recognize your sleep stages and track the REM and the deep sleep. It features a heart rate monitor, which can analyze your resting and sleeping heart rate. 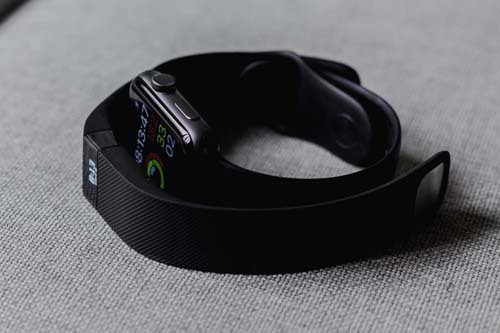 The tracker can be synced with the Fitbit app, which will allow you to get recommendations concerning your sleep regime, set a silent alarm, set reminders, and receive statistics and insights on your sleep. The best thing about this smartwatch is the sleep tracking options it provides. It monitors the heart rate and the sleep cycles quite effectively. It gets better: based on the data the tracker collects, the app will send you helpful insights on how to improve your sleep quality. It’s like a personal sleep coach, isn’t it? The worst thing I’ve noticed about this gadget is that its setup process isn’t very user-friendly. It took me a couple of hours, a few tech forums, and a call to the Fitbit support to actually set it up and sync it with my phone. Maybe it’s just me, but I found the setup process to be a bit complicated. I am a fan of this wristwatch now. It does belong to the more expensive category, but I think it’s worth every dollar. It is accurate and packed with numerous helpful features. If you want your sleep tracker to be functional and fashionable, the Bellabeat is ideal for you. This inconspicuous tracker looks like a piece of jewelry, which means you can wear it like an accessory while still enjoying the health benefits that it offers. 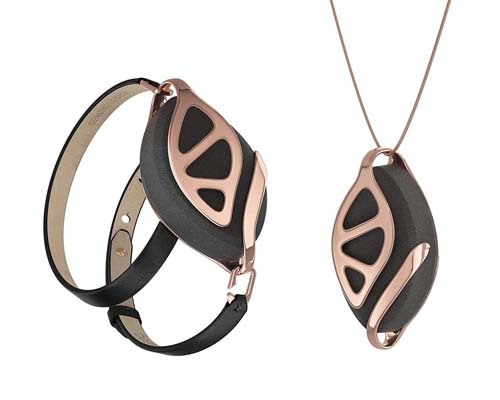 The Bellabeat comes with a 6-month lasting coil cell battery. It tracks steps, distance, calories, sleep patterns, and more. You get to control it all with a free app. The tracker can be used as a bracelet and as a necklace. The absolute best thing about this model is its fashionable design. It is an ideal option for those who want to wear their tracker at all times with different clothes. It is discreet and doesn’t look too bulky or “too sporty”. The worst thing about the Bellabeat is that it requires you to do a lot of work yourself. You need to sync everything manually and enter a lot of info for the tracking process. This might be cumbersome and can really annoy some users. To be honest, this little tracker isn’t flawless. Still, it packs a good set of features and has an interesting design (which can be considered unique in the world of sleep and fitness trackers). So, it’s worth trying. Chances are you’re going to love it! You probably understand the importance of sleep. That’s why tracking it is always a good idea. But to track it effectively, you need a good device. Not just something you see in an occasional ad online, but a device that was tested and checked for the most important aspects. Functionality. The set of features a device offers determines its functionality. We always try to pick only those sleep trackers that come with the essentials. And if a device packs a bit more and offers some extras, that’s even better. Ease of use. No one wants to spend hours reading the manual. People prefer gadgets that are fast, smooth, and offer an intuitive interface. And we prefer such models too, which is why we always search for them in the first place. Performance. Again, this feature is crucial. A good sleep tracker should perform smoothly and without lagging. Also, it must offer precise tracking. Otherwise, what’s the point of using it? Value. We don’t want you to pay more than needed. We don’t want you to spend more money because of the brand’s name or some unnecessary frills. That’s why we always look for the best value in each device. Convenience. Because you are going to sleep wearing your tracker (or on it if it’s an in-bed model), it has to feel comfy when being in contact with your body. Reviews. Obviously, if one device performs well for us, this doesn’t mean that it works just as well for other users. That’s why we always check other people’s reviews to get the full picture and to learn all the good and the bad things about each tracker. I understand your concern. Actually, many people are worried about the safety of wearable devices. And especially about the radiation those might emit. However, there’s really nothing to worry about. The radiation an average tracker emits is 100 times lower than in cell phones, and those are considered safe for our health. The only real “danger” you might face when wearing a sleep tracker is the irritation on your skin (if your skin is too sensitive to the tracker’s materials). It is also not safe to rely solely on your sleep tracker when you are experiencing some serious sleep issues and health problems. A tracker cannot help with serious sleep disorders. Therefore, it is better to see a doctor instead of using a tracking device. To get the full picture (of anything), you need to consider both the good and the bad. So, if you are thinking about investing in a sleep tracker, you might want to learn about the pros and cons of this sleep monitoring method. Tracking apps. These are the cheapest and the simplest trackers you can use to monitor and study your sleep. However, there are a couple of downsides to this tracking method. And the main issue is accuracy. Your phone just won’t be able to distinguish your movements or capture the sleep cycle, which means the data you receive from it won’t be that reliable. Wearable trackers. They usually combine tons of features, including fitness monitoring and even heart rate control. These trackers are quite effective, as they contact your body and can collect data directly from you. In-bed sleep monitors. These are great for people who don’t want to wear a watch during sleep. Usually, such trackers are presented in a form of a thin sensor that you are supposed to place under or on your mattress. They are also rather effective and provide reliable data but belong to the pricier category. Non-contact sleep trackers. They are quite new on the market but offer a very effective monitoring method, using the low-intensity radio waves to capture the movements. Whether you sleep too little every night, too long, or the perfect number of hours. How your daily activities affect your sleep. Whether or not you have some health issues that interrupt your sleep. How life changes or other everyday situations influence your sleep regime. Why you feel tired or fatigue during the day. Whether or not you are at an increased risk for heart disease or, for example, depression. You can find out whether you have the sleep apnea or the restless leg syndrome. How much you actually need to sleep every night in order to feel energized during the day and stay healthy. Whether or not sleeping with a partner (or with a pet) affects your sleep. How long it takes you to fall asleep. 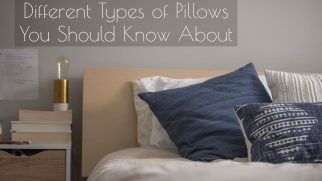 The list can go on and will depend on the features of your sleep tracker. However, as soon as you learn to analyze the data it provides, you will be able to improve your sleep and therefore your life. Believe me or not, but testing out the sleep trackers and monitoring my sleep actually helped me improve its quality. So, if you, just like me, want to make your life better and learn why you don’t sleep like a baby anymore, I’m ready to suggest the best sleep tracker for you. And the coolest one, in my opinion, is the Fitbit Ionic Smartwatch. Look, I know it’s a bit expensive, but it’s the most effective as well. It offers numerous sleep track options, captures your sleep cycle automatically, and calculates the sleep schedule you have. With the app (which is free), you will get helpful insights and pieces of advice based on your sleep data. I think this is the most effective way to study your sleep and make it better. And I wish you the best of luck in improving your sleep quality! Now, what do you think about sleep trackers? Have you experienced improvements in your sleep quality, like I have? Tell us in the comment section below. Come on! It was awesome using the wireless fitbit. At first when i clipped it to my cloth while sleeping, the silent alarm made me jump up, thinking it was an insect. I have been battling with creeping insects though. Am maximizing the cost i must say.